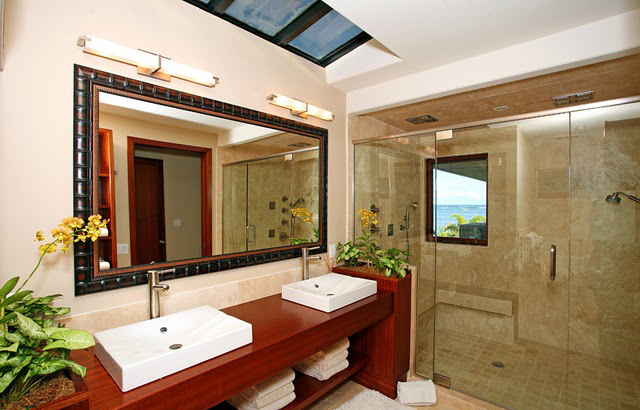 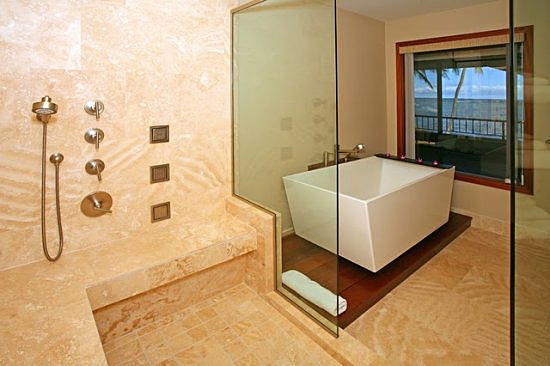 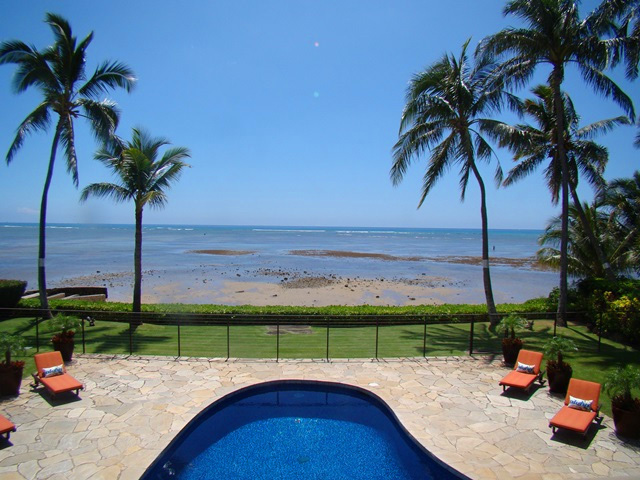 Oceanfront Retreat – Luxury Vacation Homes, Inc. 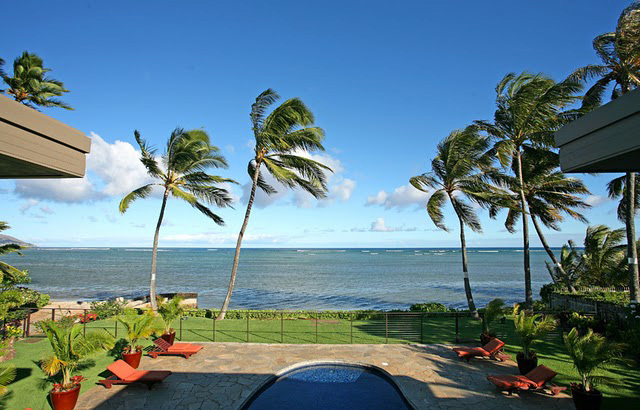 Situated in a beautiful oceanfront setting—this contemporary Island home is luxuriously appointed with all of the comforts and amenities that discriminating and well traveled guests have come to expect. 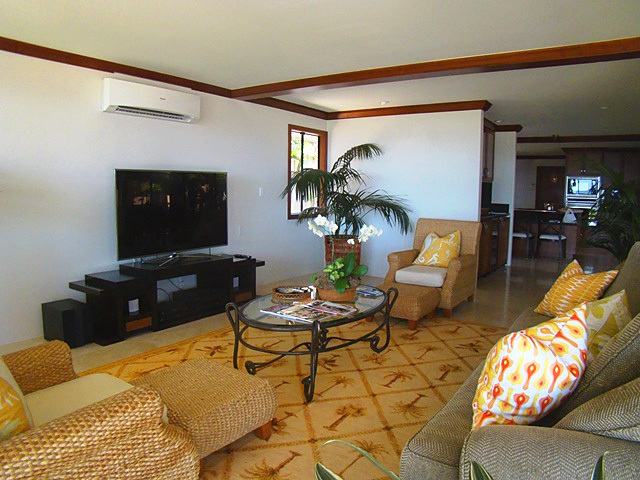 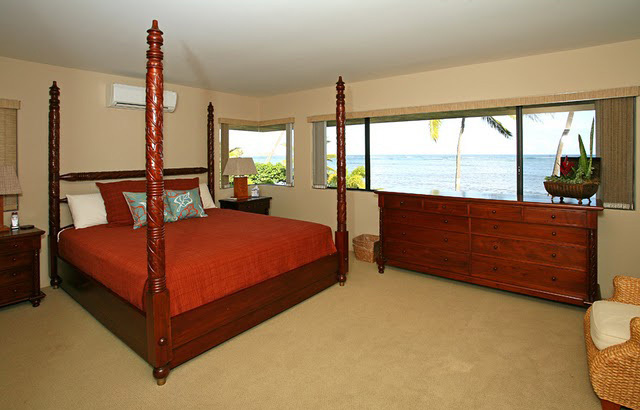 This property is decorated with rich wood trim and offers fie spacious bedrooms; including two master suites with spectacular ocean views from most of the rooms. 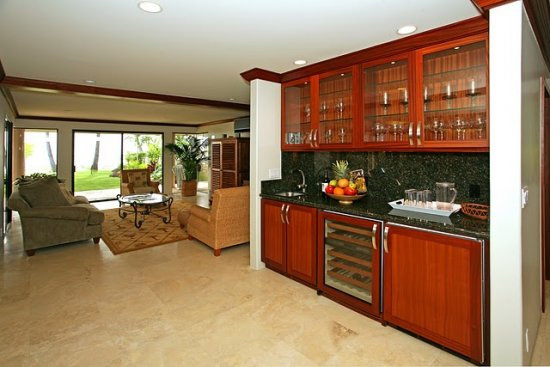 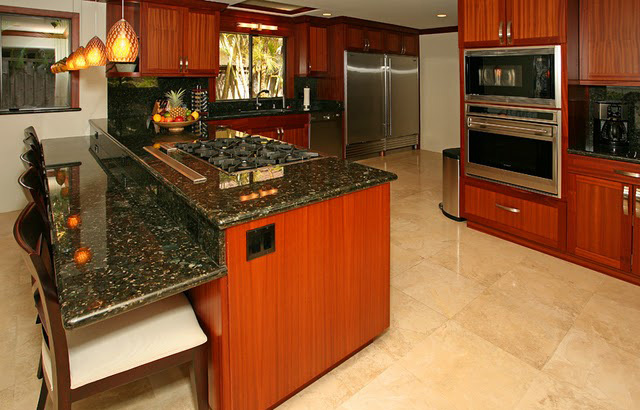 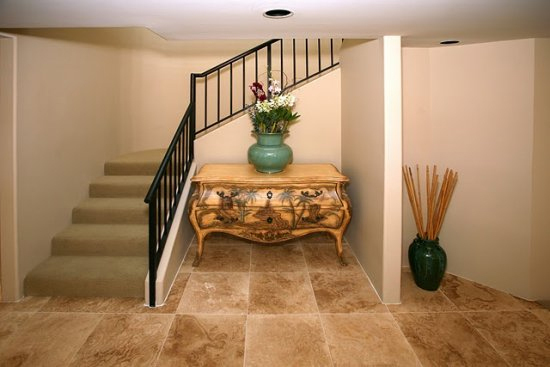 Enjoy your lunch and dinner on the gas BBQ under the covered lanai, or prepare your meals in the gourmet kitchen. 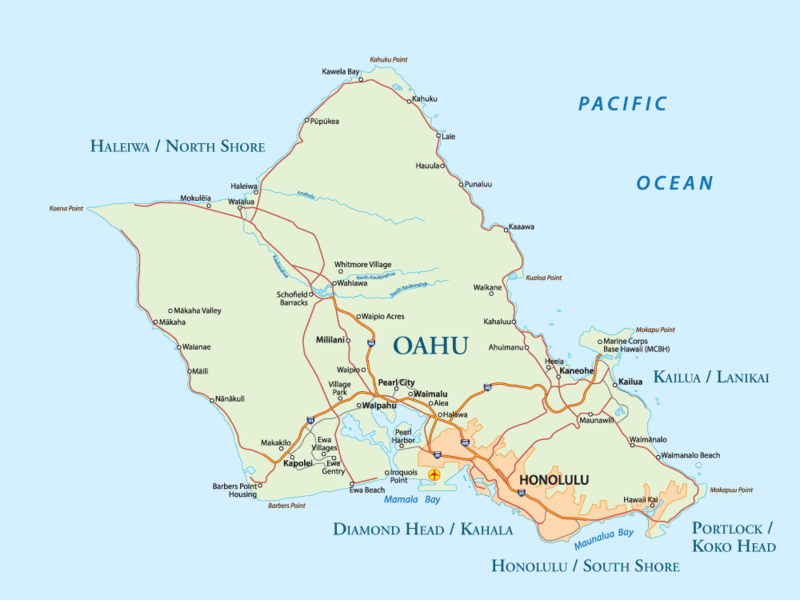 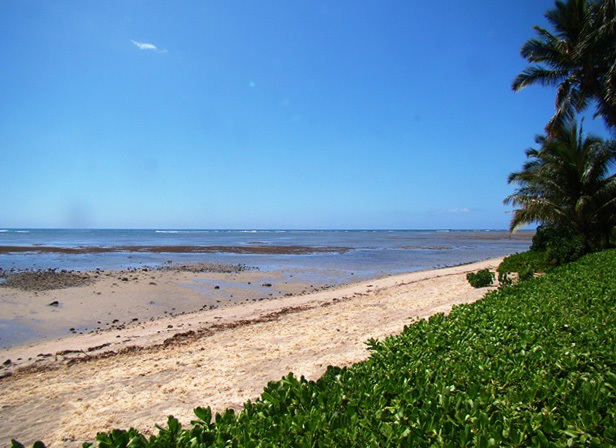 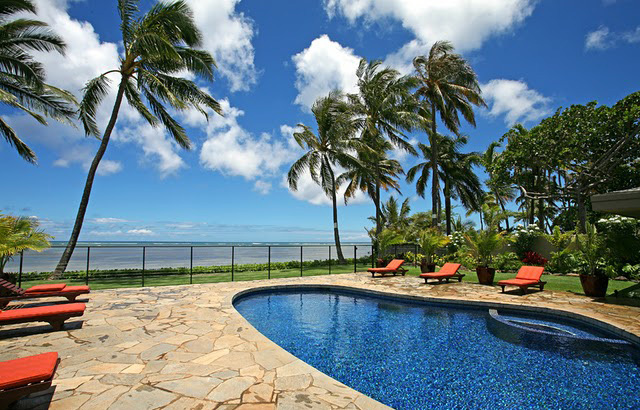 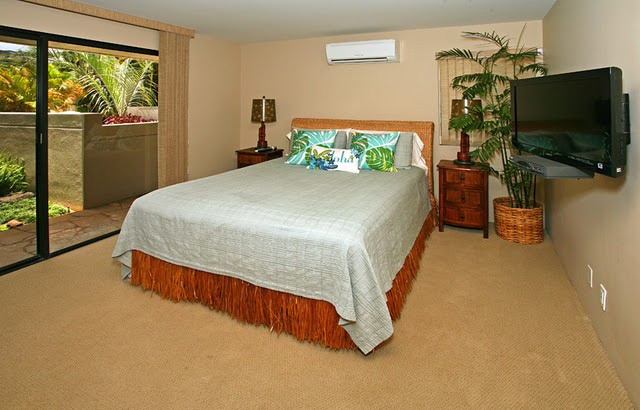 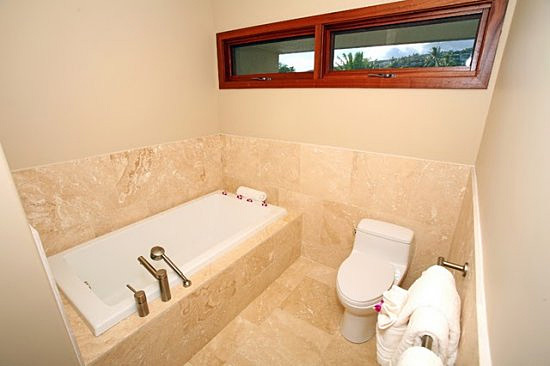 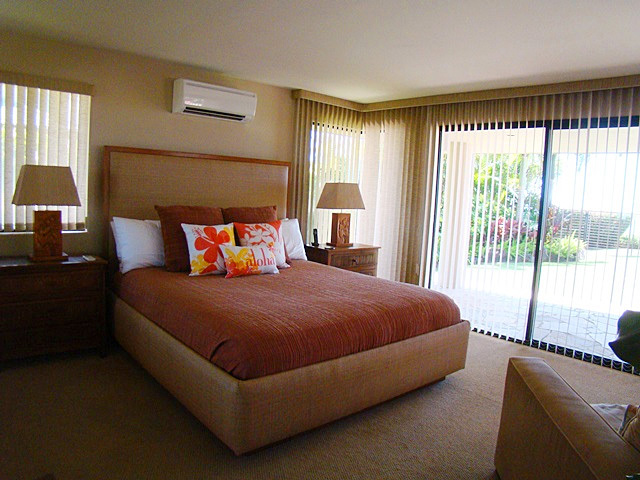 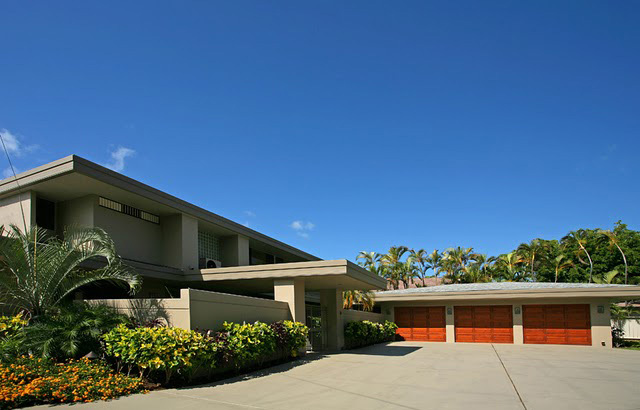 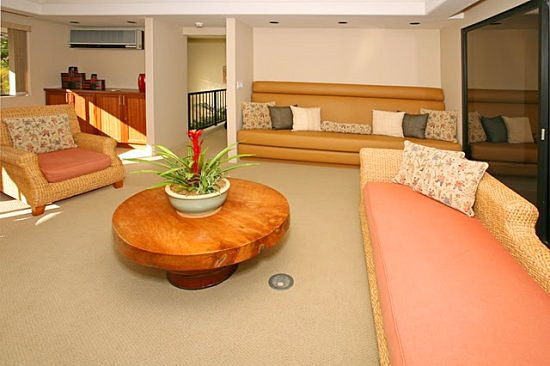 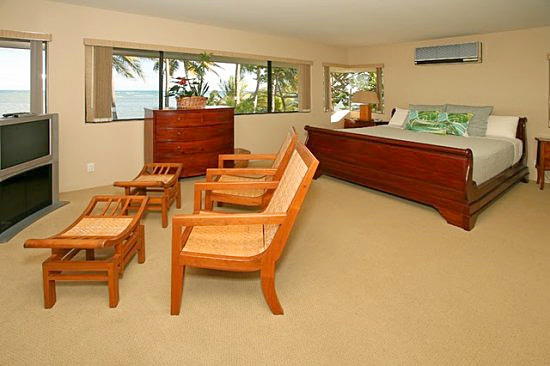 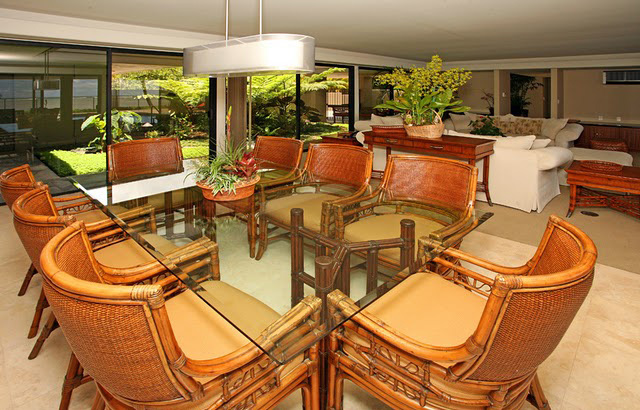 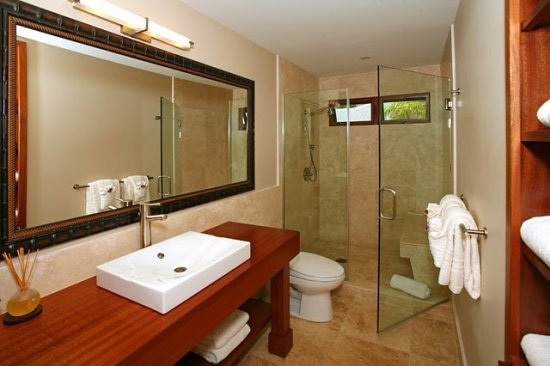 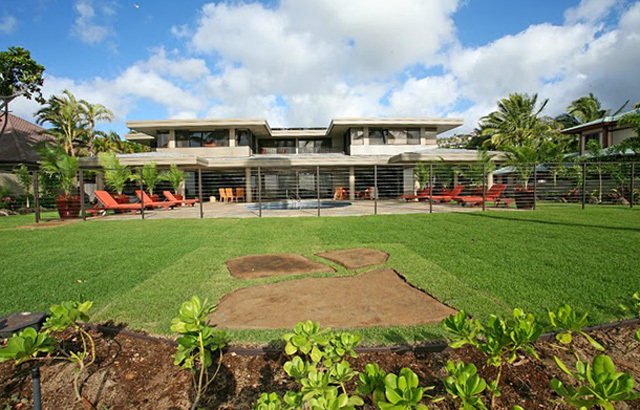 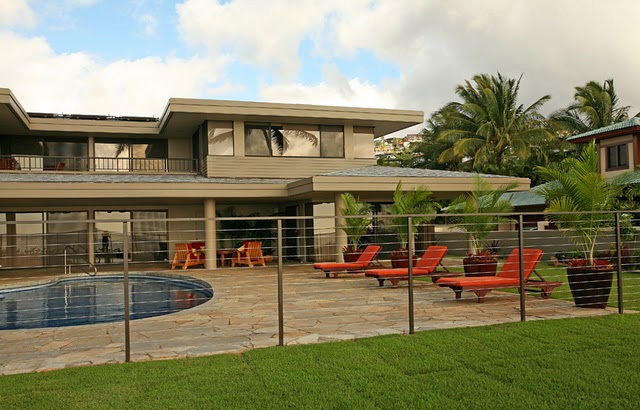 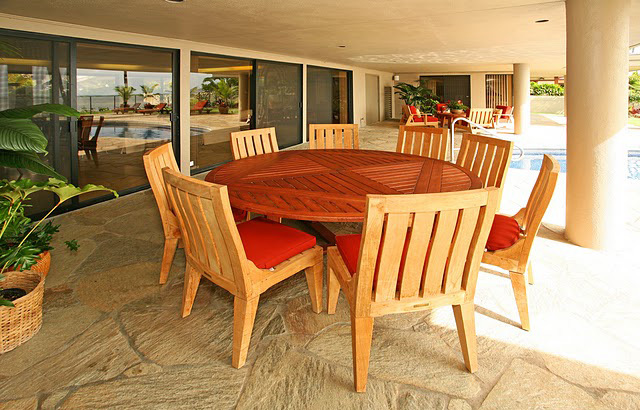 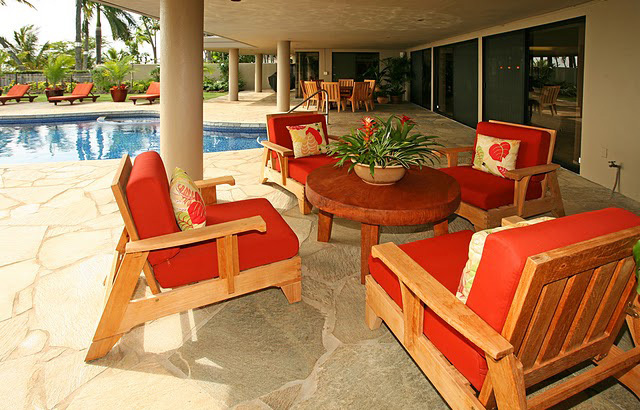 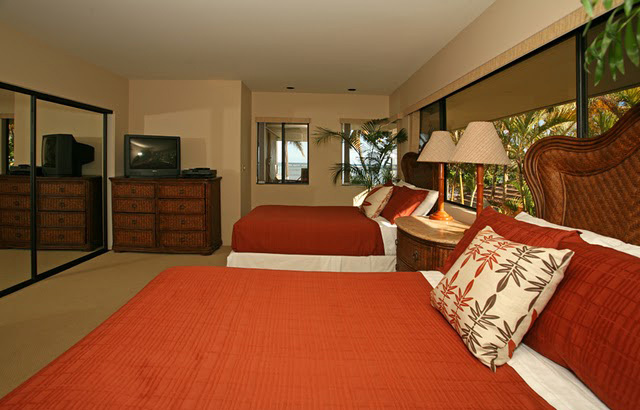 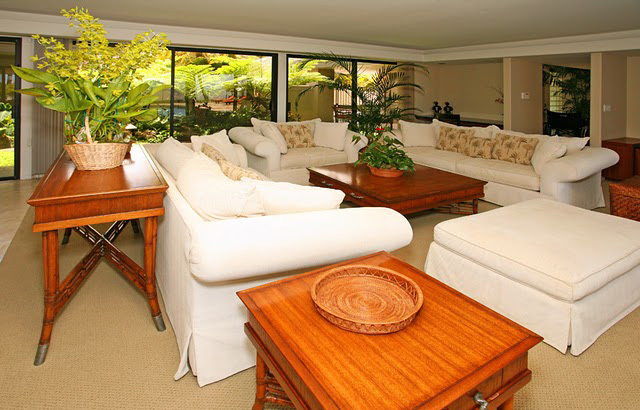 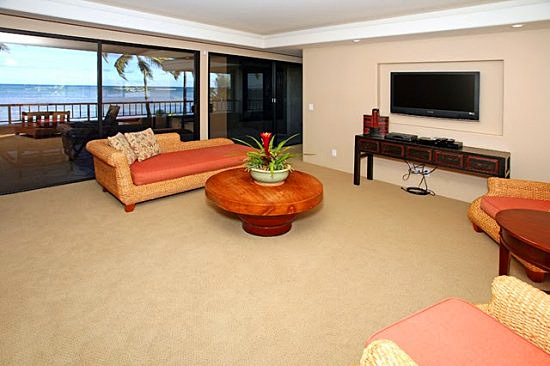 Just 10 minutes to Waikiki / Honolulu and 3 minutes to the Kahala Mall for shopping and entertainment.